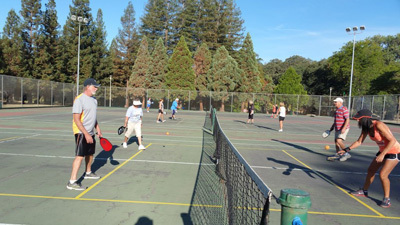 Officially established in 2017, the Sunrise Pickleball Club is a non-profit 501c7 organization dedicated to organizing and promoting pickleball at Rusch Park in Citrus Heights, California. We have members of all ages, skill levels, and backgrounds. The all-volunteer Board of Directors helps to oversee club funds, manage drop-in play sessions 6 days a week, and arrange quarterly Round Robins, holiday parties, and other events. We welcome all players, new and experienced, to come enjoy the fun, healthy, and addictive sport of pickleball! Pickleball started at Rusch Park in the beginning of 2015, on four existing tennis courts. Playing on those courts was a challenge due to severe cracking, but Pickleball players are a dedicated group, so we kept on playing. Eventually there were about 30 to 40 players playing on the courts. Steve Cooper was the leader of the group and the USAPA area ambassador. 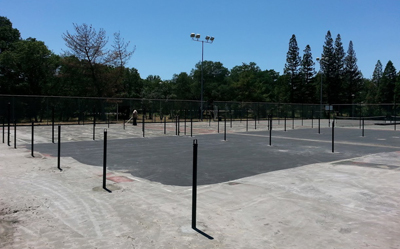 Later in 2015, Steve initiated talks with Sunrise Recreation and Park District about converting two of the old tennis courts to six dedicated pickleball courts. After many meetings, Steve convinced the park district to build the new courts. Money was budgeted, blue prints were drawn up, and construction was finally started in April of 2016. At that time, we were the Sunrise Pickleball Group, since we were not an official club. While considering construction of the courts, the park district asked for several things from the group. One, they wanted the group to form an official club, so that the club could help manage the courts and act as the liaison between the players and the district. 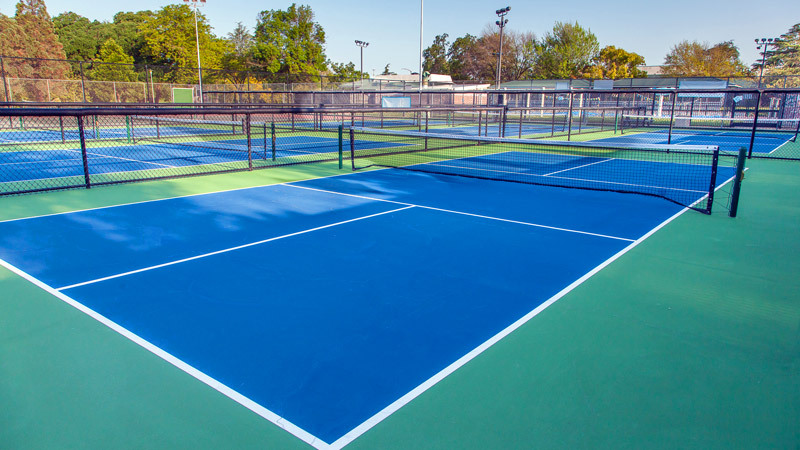 Because of the increased responsibility the club was taking on, the park district agreed to grant the club use of the courts on the mornings of Monday through Friday and Sundays. Second, they asked for some financial help in the construction of the courts. A core group of 28 players contributed $2,900 towards the nets and net posts. Third, the park district asked the club to help run any tournaments put on by the district. On June 25, 2016, the six new outdoor courts at Rusch Park opened for play, and were widely viewed as some of the best outdoor courts in the area. Prior to the grand opening, the group donated many work hours helping with park repairs, painting, gardening, etc. On January 1, 2017, the Sunrise Pickleball Club(SPC) was officially formed with officers and bylaws and began accepting members. As of December 2018, SPC has over 400 members.